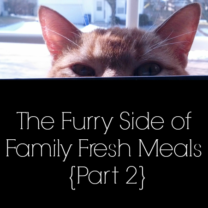 Welcome back to the3rd and finalFurry Side of Family Fresh Mealsposts. I hope you have enjoyed meeting my feline family members. I knowbothBoss and Max have had fun getting all the camera attention from me. 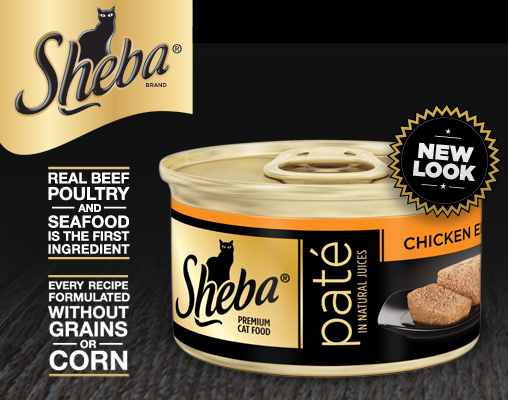 The SHEBA® brand does a wonderful job promoting healthy eating for cats with all their delicious food choices. And the topic for this post is about just that… What you do to keep your cat healthy? 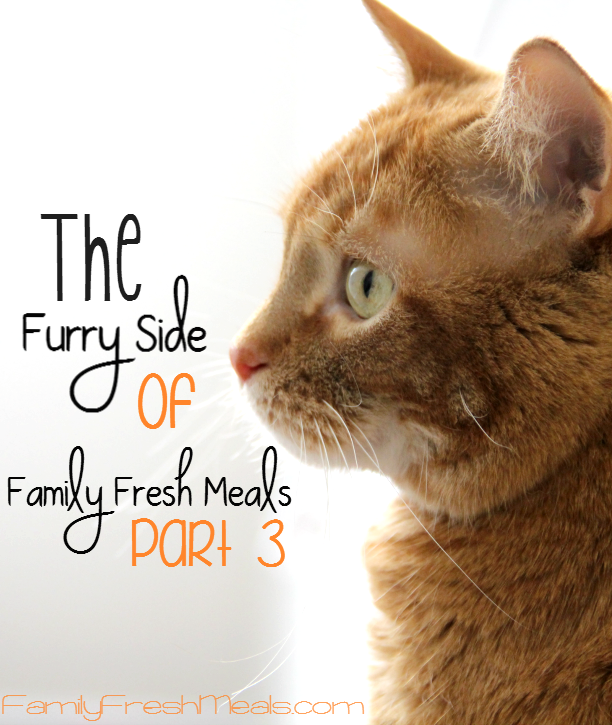 There are three main things that I think are important when it comes to kitty health. First and foremost,diet. 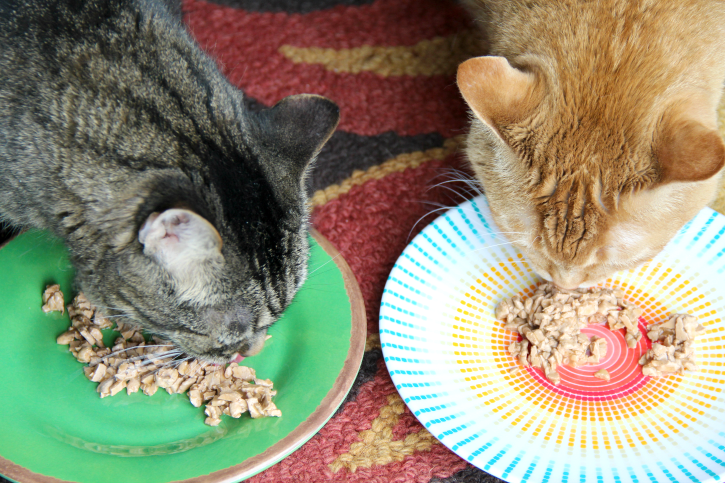 The healthier your cat’s diet, the healthier your cat will be. TheSHEBA® brand has really opened my eyes in terms of cat food. I never knew how much “junk” was in so many brands of cat foods. 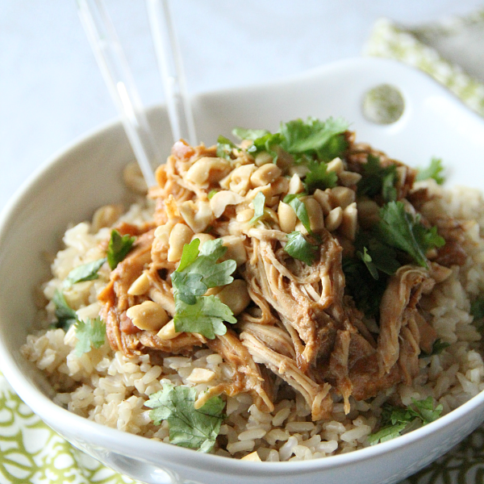 All SHEBA® recipes are formulated without corn, wheat, soy, or gluten, and never have artificial flavors or preservatives. None of the other big mainstream wet cat food brands(Fancy Feast, Friskies, 9 Lives, Meow Mix) can say that! Play, play, play! The best exercise for cats is obtained simply by playing. Obesity is a growing problem for household cats and can easily be remedies with a healthy SHEBA® diet and some one-on-one play time with your cat. 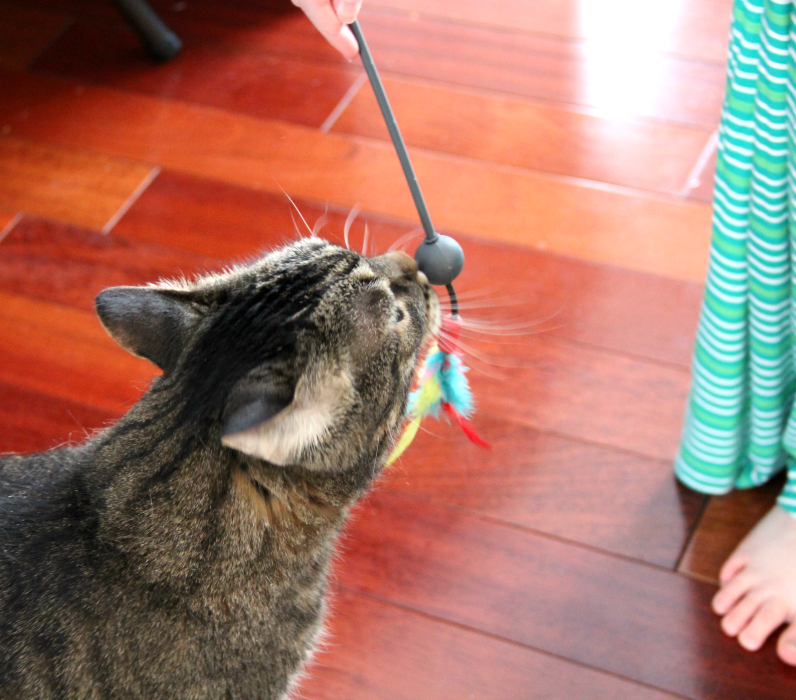 Even the simplest objects can be turned into instant cat toys. Boxes, yarn, and paper bags can entertain Boss and Max for hours. Next time you are out, make sure to check out your local pet shop for some exciting toys for your cats! Last but not least, lots of love. Setting aside some time during your busy day (even if it’s just a few minutes here and there) to give your feline some individual attention is so very important to cat health. 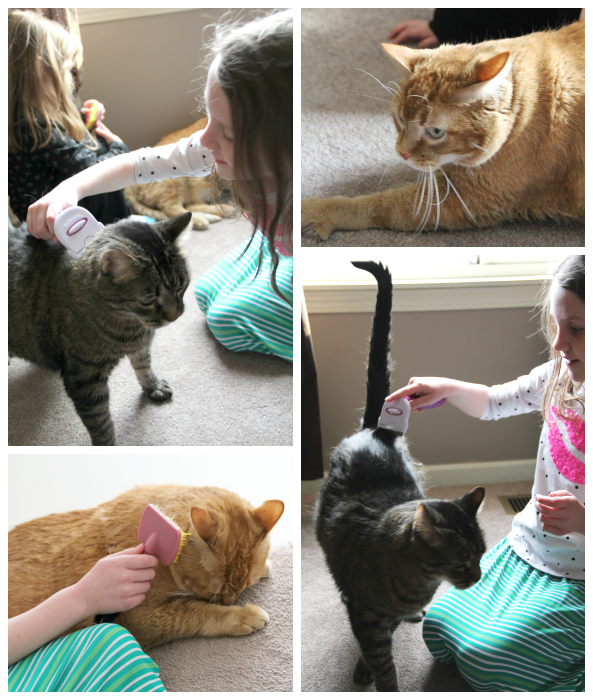 During our nighttime routine of bath-time and story-time, both cats come in and the girls take turn brushing them. I don’t know who looks forward to it more… the girls or Max & Boss! ha! 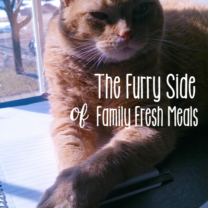 I want to thank the SHEBA® brand for sponsoring the three Furry Side of Family Fresh Meals posts. Please make sure to check out SHEBA® Entrées for Cats featuring three delicious lines: Cuts in Gravy, Pates, and GRAVY DESIRES™ Entrées. This program is sponsored by SHEBA® Brand and BlogHer. I was compensated for my writing but all opinions are my own. What do you do to keep your cat healthy? 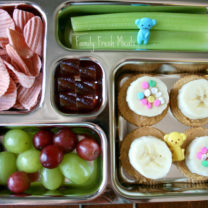 Bento Love: A Simply7 Lunch (Review & GIVEAWAY)!